Grandfather of the National Parks, Naturalist John Muir said "there is a love of wild nature in everybody, an ancient mother-love showing itself whether recognized or no, and however covered by cares and duties". On Thursday, May 14th, a 3-Day conference to improve racial diversity in the outdoors is being held at the Yellow Pine campground in Yosemite National Park. The idea for the Muir Campfire Discussion on Diversity, Inclusion and Relevancy came to Teresa Baker, leader of the grassroots organization African American National Parks Event, this past August after she led a retracing of the Buffalo Soldiers trek from the Presidio at the Golden Gate National Recreation Area to Yosemite National Park. She states, " A lot of people are scared to come out of their comfort zone, especially government agencies, and the issue of diversity is a sensitive one. I wanted to hold a conference bringing leaders together from different environmental organizations that have been doing the same thing over and over to engage people of color with the same lackluster result. More focus needs to be on the people they're trying to engage such as promoting nature in media outlets that have a diverse audience base and partnering with city parks on events to connect with those communities. " Baker enlisted the help of John Muir's great great grandson and Founder of the clothing brand Range of Light, Robert Hanna, to help bring her idea to fruition. "Grassroot efforts are where the passion is, where the action starts, and where it happens. This conference is bringing together leaders from 20 different organizations to speak with some grassroots activists to identify ways to work together, away from any distractions, to make diversity and inclusion in the outdoors a priority" said Hanna. He explains, "the visitation of National Parks is not representative of our country's diverse makeup. We need to address the issues preventing these groups from places that belong to all of us. To demonstrate that means more exhibits and telling more stories that share the legacy these groups have with the National Parks, like the Buffalo Soldiers." The Buffalo Soldiers were an all black military regiment that protected and helped create the infrastructure of Yosemite and several other National Parks in the region. Hanna was a major advocate for California legislation that forever recognized the buffalo soldiers as an integral part of the National Parks. Hanna and Baker are currently working toward having the road of Yosemite's southern entrance designated as "Buffalo Soldier Highway". The conference is using President Theodore Roosevelt's trip to Yosemite National Park in 1903 with John Muir as a blueprint, at which their discussions would prove to be vital in addressing issues regarding the outdoors at the time. 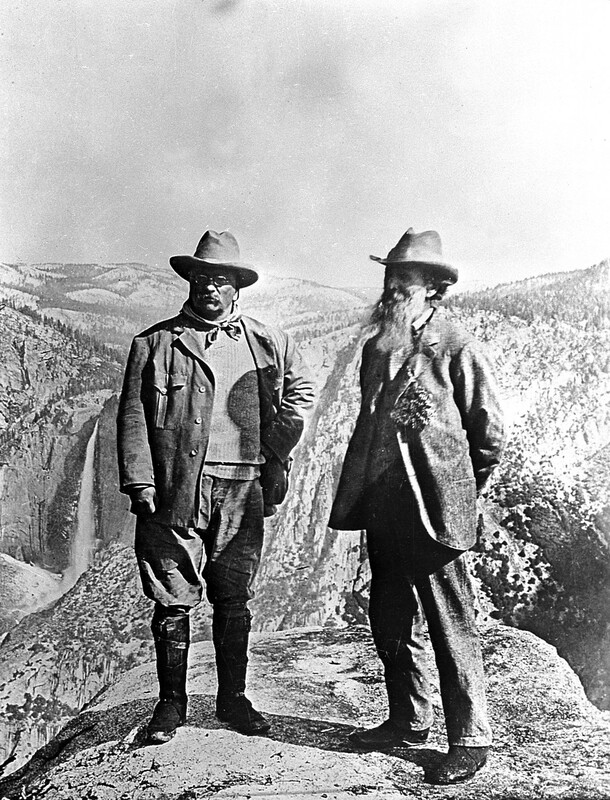 Roosevelt said of Muir, "he was a great factor in influencing the thought of California and the thought of the entire country so as to secure the preservation of those great natural phenomena - wonderful canyons, giant trees, slopes of flower-spangled hillsides." Baker and Hanna are using John Muir as inspiration to continue that legacy in working toward solutions for one of the most prevalent issues facing the outdoors today. Although the conference is closed to the public, a send off ceremony open to the public will commence Thursday morning 9:30 AM at the Muir House, located at 4202 Alhambra Ave, Martinez, CA 94553. 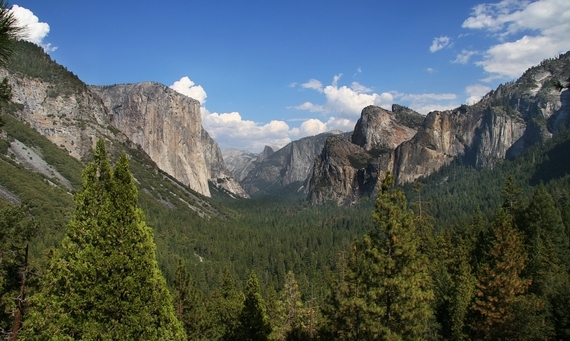 From there the participants will depart to Yosemite National Park at 10:30 AM until Sunday. A film crew from The Muir Project will be on hand to document the entire conference so that the solutions conjointly recommended can be shared on the Muir Project website. A summary of the discussions will also be released after the conference. Organizer of the event Teresa Baker concludes, "the lasting hope for this summit is to have tangible solutions in place that are cost effective, so that one less obstacle is in place for diversity and inclusion in outdoor spaces."